Every photographer needs a hobby. For St. Louis-based commercial photographer Michael DeFilippo, it’s chess. Sort of. One of DeFilippo’s clients is the World Chess Hall of Fame in St. Louis, and his work there has given him an artistic appreciation of the game. “St. Louis is a town where word-of-mouth advertising still counts. I started photographing for the Chess Hall on referral from an art gallery client,” DeFilippo says. 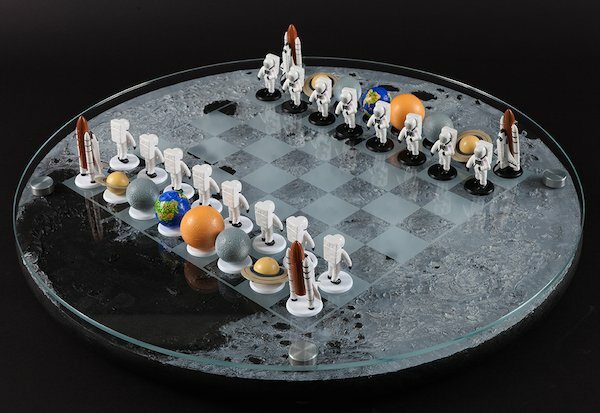 For the Hall, he shoots installations and objects for marketing, press releases, catalogs and events, and over the years he has photographed rooks, nights, pawns, kings and queens from a number of memorable chess sets. Last year PPD featured another of DeFilippo’s personal projects — a series exploring the effects of the Instate Highway System on St. Louis. “Business for me was abysmally slow during the first quarter, and since it was the 60th anniversary of the interstates, I thought it would be an interesting way to fill up my spare time,” he said. 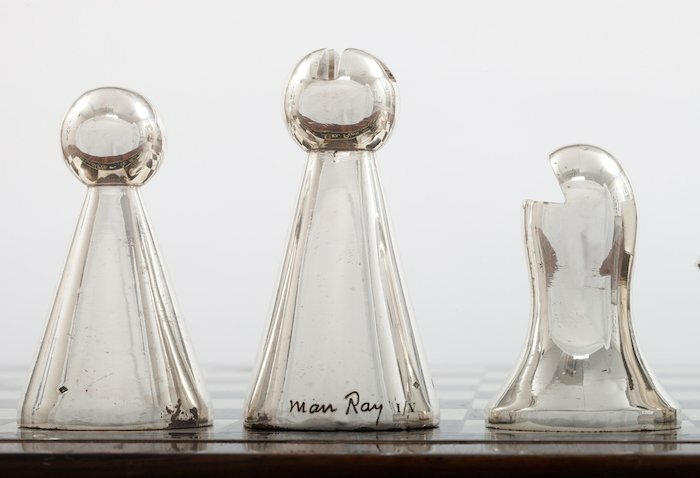 As for his other work for the Chess Hall, DeFillipo has shot everything from an early 20th century silver, copper, and enamel set and board from Hungary to chess sets designed by Man Ray and Isamu Noguchi. 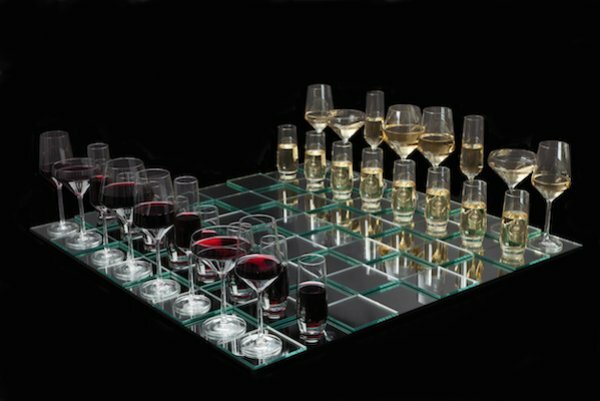 There was also a wine glass set and board based on a 1944 piece created by Andre Breton and Nicolas Calas. 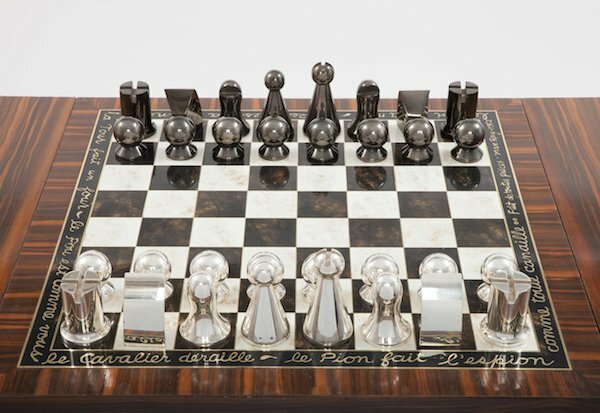 “The first chess set I photographed was a piece from Yoko Ono’s series “Play it by Trust,” which features all-white chess pieces on an all-white board,” he says. 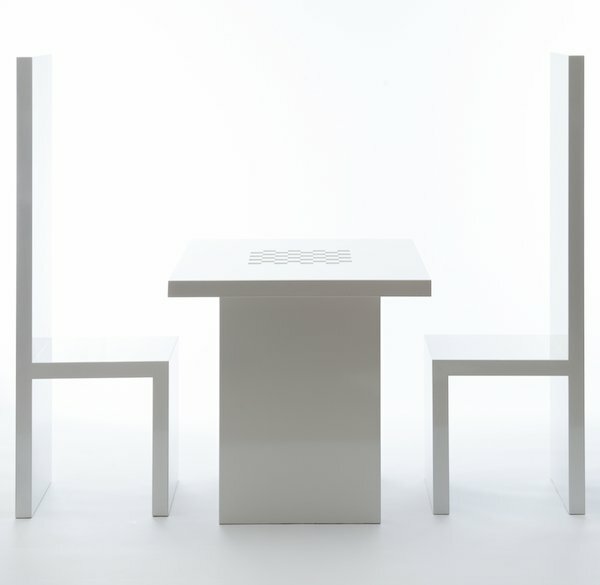 “The set included two white chairs and a white table." 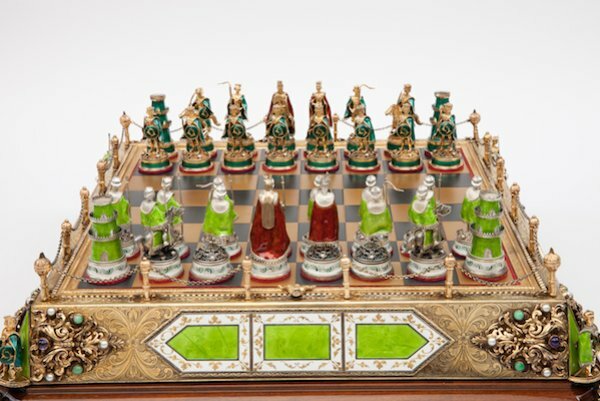 A recent exhibit at the Chess Hall of Fame titled “Animal, Vegetable, Mineral” featured a collection of chess sets inspired by the natural world or crafted from natural materials. “Not only did I photograph chess pieces of amber, ivory, crystal, wood, and a variety of precious metals and stones, but I also photographed the elements themselves. This included a 10,000-year-old lump of amber with termites encased inside,” says DeFilippo. Another recent show titled “POW! 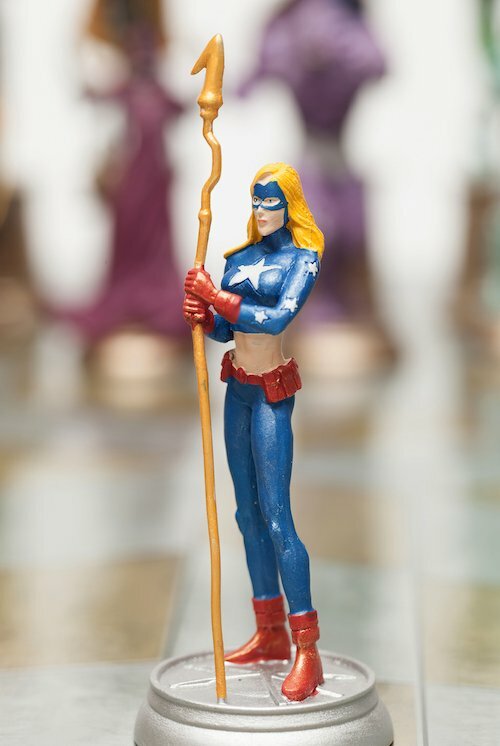 Capturing Superheroes, Chess & Comics” features more than 200 chess-related comic books, 18 rare and limited-edition chess sets. “There was a point in the middle of a day’s shooting when I was hunkered over a chess set featuring comic book heroes from my childhood when I started to smile. A voice in my head said – ‘You are being paid to play with toys,” DeFilippo says.